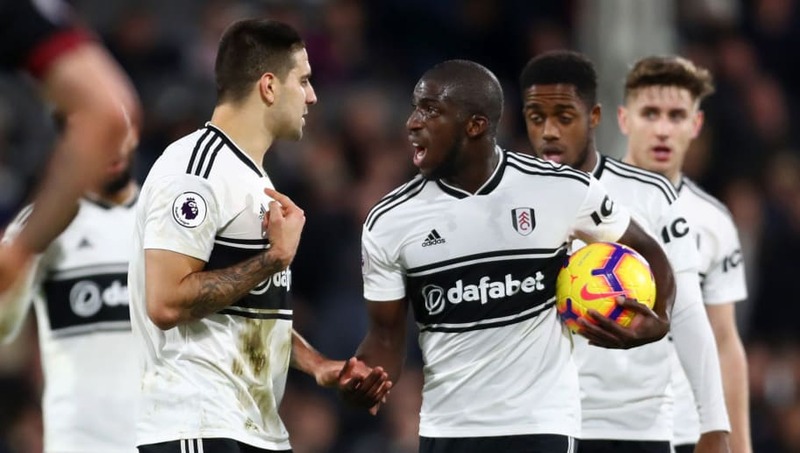 ​Fulham strikers Aleksandar Mitrovic and Aboubakar Kamara had to be dragged apart by teammates following a heated confrontation during a team yoga session. The pair nearly came to blows during last week's lesson because Mitrovic accused Kamara of being rude to the teacher leading the session. According to ​the Sun, Fulham boss Claudio Ranieri has now indicated that he would be happy to get shot of Kamara and will consider selling him in the January transfer window. This latest incident comes just weeks after Kamara angered ​Mitrovic by taking a penalty against Huddersfield on 29 December, despite the Serbian being ​Fulham's designated spot kick man. Kamara's penalty was saved by Jonas Lossl with the match goalless, but Mitrovic spared his teammate's blushed by scoring a late winner. However, the usually genial Ranieri said after the game that he wanted to 'kill' Kamara for going rogue and taking the penalty against his orders. "I said to Aboubakar Kamara to leave the ball to Aleksandar Mitrovic, he is the man who shoots the penalties. It is unbelievable what he did," the Italian raged. "I wanted to kill him. That is normal when one man takes a ball, only because he scored the last penalty. It should be Mitrovic, that is it." Kamara came on a substitute to score against Arsenal in Fulham's next game, but was left out of the squad entirely for last Saturday's defeat against Burnley following his alleged spat with Mitrovic. Defeat at Turf Moor left Fulham 19th in the table, five points adrift of safety. They take on Tottenham at Craven Cottage in their next match.